Christiansen Law Offices is built upon the over 50 years of combined trial experience possessed by our attorneys. When we accept your case, we are always fully prepared to litigate the case to your satisfaction. While other firms claim they will resolve your case quickly, we work hard to resolve your case fairly. Our goal is always to protect your rights and interests, and help you seek the resolution you deserve. Many cases can be resolved through negotiation, but we are always prepared to proceed to trial to protect you, and we have the litigation experience to provide you with the advocacy you need. In addition to providing skilled and experienced litigation services, we provide a superior level of client service. We are always available and accessible. We meet with you regularly to discuss the progress of your case. We work with you one-on-one to determine the best outcome for you. We respond promptly to your inquiries. Our phones are answered 24 hours a day to serve you in a legal emergency. We understand how important your legal issue is to you and your loved ones, and it is just as important to us. 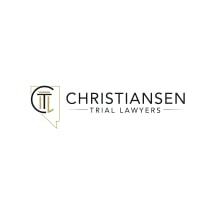 The Christiansen Law Offices are a Las Vegas, Nevada, law firm representing personal injury and criminal defense clients throughout Southern Nevada, including North Las Vegas, Clark County, Henderson, Summerlin, Green Valley, Boulder City, Laughlin, Bullhead City, and others .